Attention deficit hyperactivity disorder (ADHD) is a very common childhood disorder which affects around 10% of children from 4 to 17 years of age. It used to be called Attention deficit disorder (ADD) and is still sometimes referred to as ADHD/ADD. While children and adults can be affected, symptoms of ADHD always start during childhood which is when most people are diagnosed. ADHD is a notoriously difficult condition to diagnose and while most experts accept that the condition is real, there is some concern that it has been over-diagnosed in recent times. The symptoms of ADHD include inattentiveness and hyperactivity though some children displaying a lack of attention do not necessarily exhibit hyperactive behavior and vice versa. Many people are uncomfortable with the idea of prescribing powerful prescription medications to their children and as is often the case, the search is on to find the best remedies in nature. Diet is often linked to ADHD and cutting certain food while adding others to your child’s diet might help control the symptoms. Eliminating artificial additives and limiting sugar intake while eating more protein and food rich in omega-3 fatty acids might help manage the condition. While there is some scientific research into natural remedies for ADHD, it is too limited at the moment to make firm conclusions but the following suggestions are some of the most commonly used natural treatments for ADHD. Eliminating artificial additives found in many snacks, candy and soda might well help manage the symptoms of ADHD. It is also recommended that you limit your intake of sugar. Studies show that food rich in Omega-3s can help manage behavior and improve cognitive ability. Fish like salmon and tuna as well as walnuts and almonds are a rich source of Omega-3s. Magnesium, zinc and iron are all necessary minerals when it comes to brain function and promoting relaxation. Food like bananas, black beans spinach and cashews can all contribute the necessary minerals. There are numerous herbs that promote relaxation and calm which might have application in the management of ADHD. One of the symptoms of ADHD is poor sleep quality and drowsiness during the daytime. This recent study published in February 2015 found that children with ADHD had more difficulty in getting to sleep in the first place, sleep less soundly and find it hard to get going the following morning. (1) Because of these sleep issues certain traditional herbal teas may be able to help.Teas with a well-known calming effect are chamomile, lemon grass and spearmint which drunk before bedtime my help promote a sound sleep. 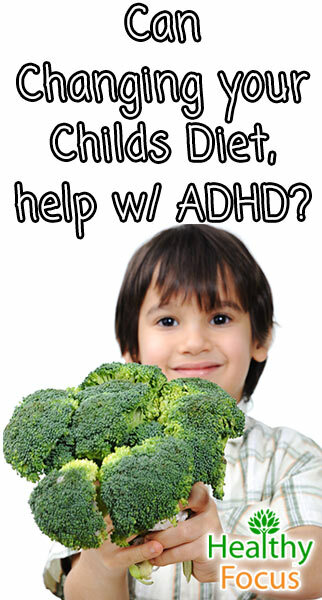 Another study published in 2008 found that brahmi extract taken for 90 days had cognitive enhancing effects on 62 healthy patients.While none of the research has specifically focused on ADHD, the brain improvement effects of brahmi are promising and it might prove useful in the treatment of ADHD. Ginkgo biloba has been used in traditional medicine for thousands of years and is a popular herbal supplement around the world today. It is used to treat a variety of conditions related to the brain including anxiety, dementia and schizophrenia. Several recent studies have explored the effectiveness of ginkgo biloba with regard to the treatment of ADHD; so far results have been mixed but largely positive. Gotu Kola also known by its scientific name Centella Asiatica is native to certain regions in South East Asia. The herb is a rich source of nutrients necessary for good cognitive function and it is traditionally used to improve focus and memory. You can find a more detailed look at the various health benefits of gotu kola here https://healthyfocus.org/8-amazing-benefits-of-gotu-kola/. Studies have found that gotu kola helps reduce anxiety and it may have applications in a number of conditions related to cognitive ability including ADHD. Ginseng is a well-known medicinal herb used extensively in traditional Chinese medicine. It has shown the ability to help a number of cognitive functions including memory, attention and motor performance. A study published in 2011 sought to find out whether Korean red ginseng could treat the symptoms of ADHD. (6) The children were given 1000 mg of red ginseng daily for the 8 week duration of the experiment and showed improvements with regard to social functioning, anxiety and personality. These unripe oats often go by their other name Avena sativa and have a long held reputation for calming nerves and easing stress or anxiety. Preliminary studies have shown that green oats might help improve concentration and attention which has applications in the treatment of ADHD. Essential oils are highly concentrated extracts derived from a variety of plant life. We have covered the many benefits of essential oils fairly extensive on this website and there are several oils that might help in the treatment of ADHD because of their calming abilities as well as their ability to promote sound sleep. Essential oils can be inhaled directly from the bottle, diffused in a diffuser machine or inhaled from a pillow or a handkerchief. Most essential oils are safe to apply topically and massaged into the body but they should always be diluted with a suitable carrier oil first.